For any organisation, profit or non-profit, it’s a positive result when events elicit diverse and energetic contributions from attendees. On the 14th of March in Perth, a group of interested and influential individuals were invited to a small networking dinner to talk about alcohol and Australia’s drinking culture. The dinner included guests from the resources sector, financial and professional services sector, a journalist or two, a solicitor, public relations executive and elite sportswoman, a former State Government minister and the head of the Royal Perth Hospital’s ICU and Director of Critical Care. The amazing thing about the discussion was that so many different perspectives were brought to the table. Otherwise different lives were woven together with a common thread – the recognition that Australia has a robust drinking culture that is well-accepted and often ignored, and that the way we drink might need a re-think. Reflecting on the way we lead our super-hectic lives, it’s no surprise that alcohol is often thought of as comfort food. Not threatening, not damaging but there to make us feel good. Easy. If you don’t ask too many questions about your motivation for drinking, it seems uncomplicated and fairly harmless. What’s interesting though – and this emerged during the conversation – is that many of us do ask the questions when we look at other people. Alcohol is usually considered someone else’s problem and while we talked about shared concerns for our kids and binge-drinking, someone suggested we turn the mirror on ourselves and think about the role we play as parents in our drinking culture. Do as I say, but not as I do? How do children view their parents’ drinking? Do we model responsible drinking? One attendee described life in the 1970s in north-west Western Australia, when it was totally normal to get rip-roaring drunk and then drive home. But the key observation, on his return 20 years’ later, was that drink driving was totally unacceptable. It was no longer a social norm and today most people don’t or won’t do it. The snapshot comparison showed attitudes can and do change. Professor Dobb gave us a clear and sobering picture of the damage alcohol can inflict. His trauma patients include young people who have sustained significant spinal and other injuries through mishap associated with alcohol. He described how these long-term hospital patients often put their hands up to warn other young people not to drink and ‘do stupid things and mess up your lives like I have’. He’d seen how a first-hand account can be a persuasive way to communicate an important message. We heard about the wheatbelt’s heavy drinking culture and how more than one attendee had learned as a teenager that hard drinking was a way of rural life. This was a timely reminder that alcohol isn’t a new issue, but it is a growing one, attracting younger and younger people across all demographics. A key theme of the conversation was why it’s important to change the way we drink. Inviting new people to join the conversation was a good start. Questioning how we can work together to help people drink responsibly taught us that first we have to think responsibily. The more I read about alcohol and changing people’s attitudes the more I notice that it is mainly focused on young people. I am beginning to wonder if the older generations are being forgotten in the sense of challenging and perhaps changing their attitudes. It’s a good point. We can’t ask or expect young people to reassess their drinking patterns if we are not prepared to do some re-thinking about our own consumption. Parents, including me, have got to be honest. We were all teenagers once, and there was a pretty strong drinking culture then, too. What we didn’t know, however, was how harmful alcohol was to developing brains – so that’s one good reason to try to raise awareness in the youth market. 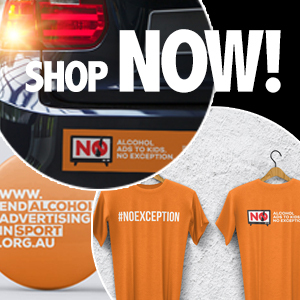 The Shooters, Fishers and Farmers party picked up much of the protest votes in the NSW election but there is no sign they their hands on the steering wheel of health – especially in relation to curbing alcohol harm.